Special indeed are holiday stories with the right mix of high spirits and subtle mystery to please both adults and children--Charles Dickens's "A Christmas Carol," for example. 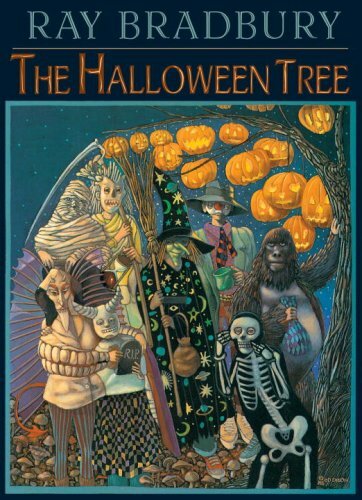 Or Ray Bradbury's classic The Halloween Tree. Eight boys set out on a Halloween night and are led into the depths of the past by a tall, mysterious character named Moundshroud. They ride on a black wind to autumn scenes in distant lands and times, where they witness other ways of celebrating this holiday about the dark time of year. Bradbury's lyrical prose whooshes along with the pell-mell rhythms of children running at night, screaming and laughing, and the reader is carried along by its sheer exuberance. Bradbury's stories about children are always attended by dread--of change, adulthood, death. The Halloween Tree, while sweeter than his adult literature, is also touched at moments by the cold specter of loss--which is only fitting, of course, for a holiday in honor of the waning of the sun.